This 47ltr Dry-Bin has a handy built in scoop, ideal for use inside or out. The perfect answer for storing pet food, chicken feed, bird seed, compost, top soil & lawn fertiliser. 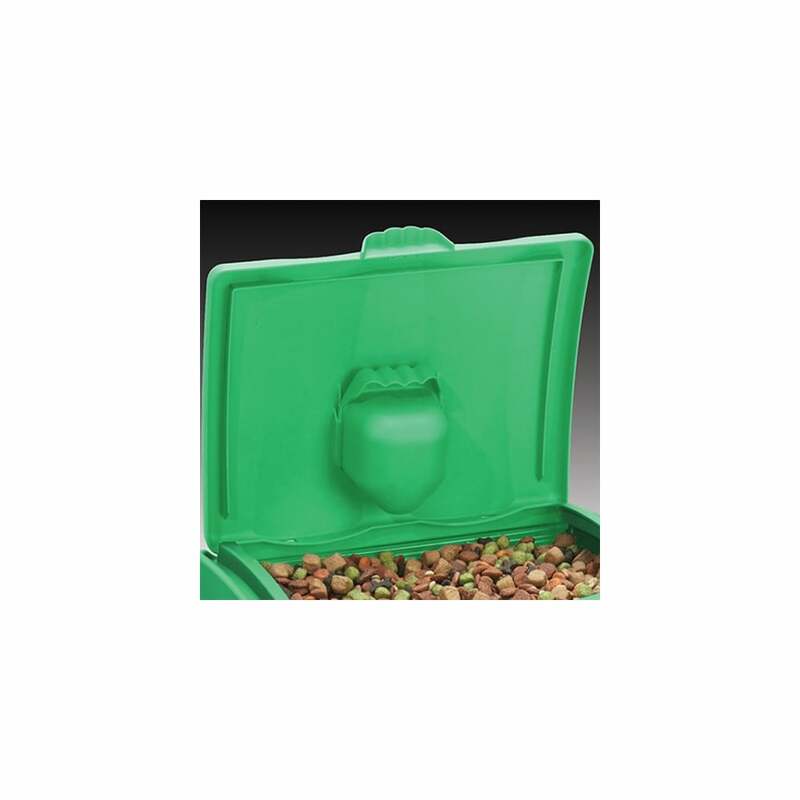 Will hold up to 15kg of pet food, the specially shaped lid is designed to channel water away from the main container. Made from tough durable plastic and will last for years.